Here at Blake, our Bespoke Service offers unique, made to order envelopes, designed for a specific purpose. With the ability to supply almost any shape and size of envelope using almost any kind of material, our skilled team are always able to come up with that special something to suit the most particular requests. 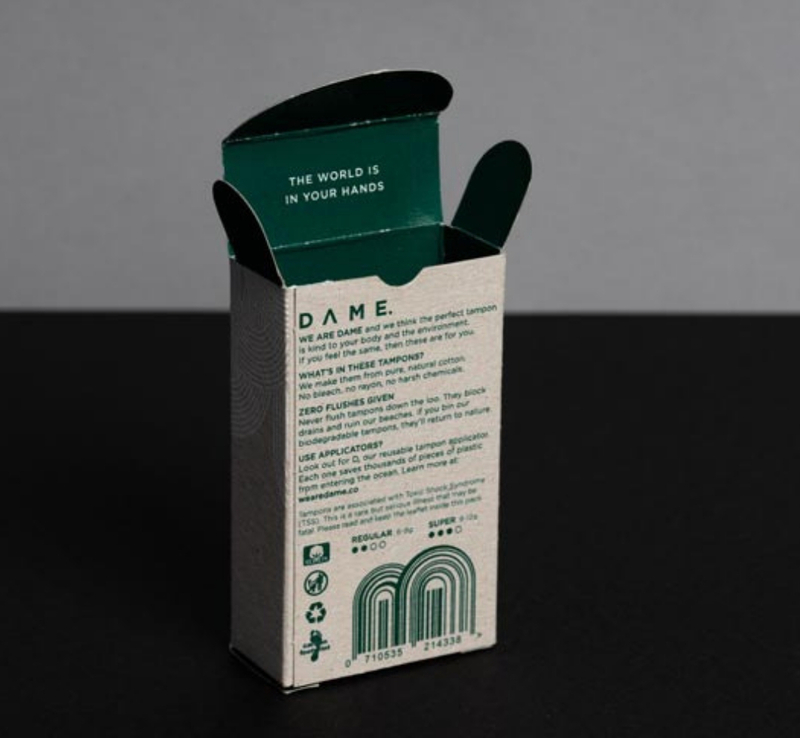 Read on to find out about the bespoke packaging we recently created for Dame. 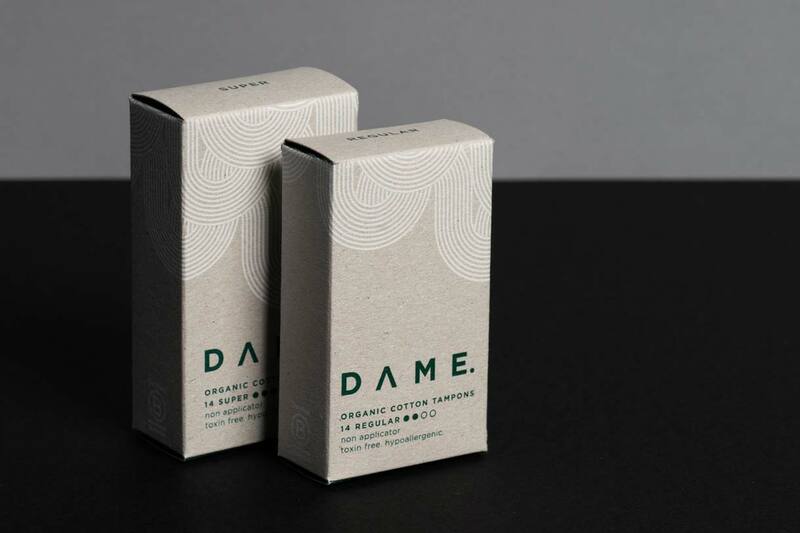 Dame asked us to create 15,000 carton boxes, sample wraps and envelopes to hold their hygiene products. 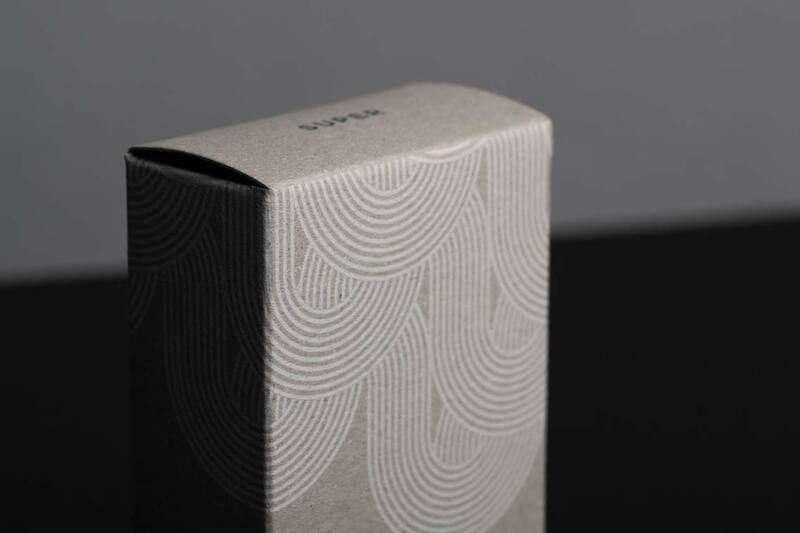 As eco credentials were a high priority for them, we worked very closely with them to design and develop packaging produced from WLC recycled board, achieving a distinctive recycled look & feel.